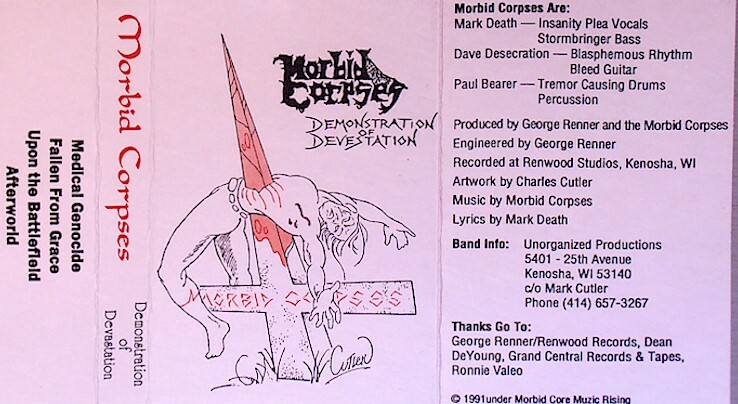 Morbid Corpses was a death/thrash band from Kenosha, Wisconsin of all places. They formed in 1987, released one three-song demo in 1991, and broke up sometime thereafter. They also released this two-song promo called Rise in 1992.